The Center for Western Studies news room features press releases about current and upcoming exhibitions, collections news, programs, events and announcements. For interviews or additional information, including hi-res images for your publication or news agency, please email the CWS or call 605.274.4007. Discover what special events, gallery exhibitions and receptions we're sponsoring by visiting our upcoming events page. Looking for a way to stay posted on what's happening at the CWS? Follow us on Facebook or Twitter. This fall, the Center for Western Studies released a new edition of Herbert Krause's classic Minnesota farm novel, "The Thesher," with a new introduction by Patrick Hicks. Originally released in 1946, the book is the second volume of a trilogy depicting the complex relationship between the land and those who farmed it. Hicks, who succeeds Krause as writer-in-residence at Augustana University, has crafted a stirring introduction to this new edition, acquainting a new generation of readers with "The Thresher." He discussed the book with Lori Walsh on South Dakota Public Broadcasting's "In the Moment" program on October 13, 2017. 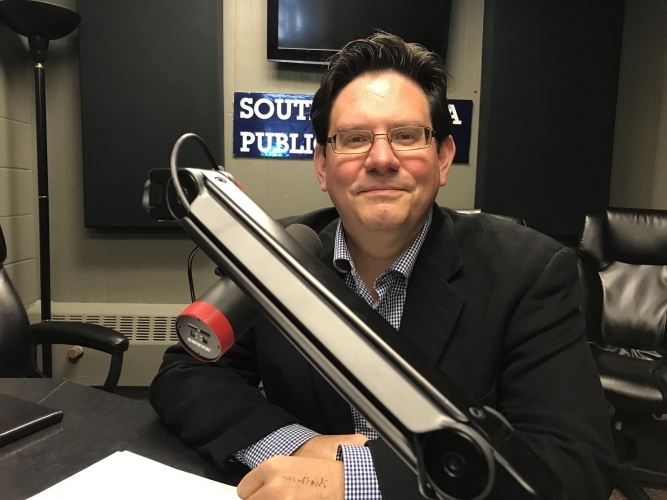 Following big Oscar wins for "The Revenant" for best actor, director, and cinematography, CWS Executive Director Dr. Harry F. Thompson was invited to speak with Lori Walsh of South Dakota Public Broadcasting's "Dakota Midday" program on March 2, 2016. Thompson discusses questions of authenticity relating to three versions of the Hugh Glass narrative – "The Revenant" film, the novel of the same name by Michael Punke, on which the film is partially based, and their precursor, Frederick Manfred's most critically acclaimed work, "Lord Grizzly." As the author of the definitive narrative on Hugh Glass, interest in Frederick Manfred continues to grow in the wake of the Oscar-nominated film, "The Revenant." And as Manfred's work receives more attention, so do the new "Voices of the Northern Plains" exhibits at the Center for Western Studies, a portion of which are dedicated to Manfred and other important regional authors who re-imagined the pioneer period for twentieth-century audiences. CWS Executive Director Dr. Harry F. Thompson recently discussed the author's quest for authenticity with reporter Mary Ann Grossmann. The following article about Frederick Manfred and his most famous work, "Lord Grizzly," was published by the Pioneer Press on January 8, 2016. Researchers have long had the opportunity to explore the personal papers of author Frederick Manfred in the Center for Western Studies archives. "Voices of the Northern Plains,"
the new core exhibits at CWS, include a section exploring Manfred's contribution to regional literature and a display of his writing desk, typewriter, and boots. Interest in this Siouxland scribe, the very person who coined the phrase "Siouxland," has been renewed thanks to "The Revenant." This new Hollywood production tells the story of Hugh Glass, a real-life trapper who was mauled by a bear in present-day Perkins County, SD, in 1823 and left for dead. 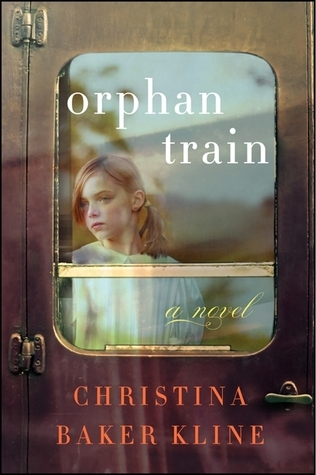 The film portrays a very different tale than "Lord Grizzly," Manfred's most well-known and critically-acclaimed novel on the subject published in 1954. The following article about Frederick Manfred and his take on the Hugh Glass legend was published by the Argus Leader on December 12, 2015. 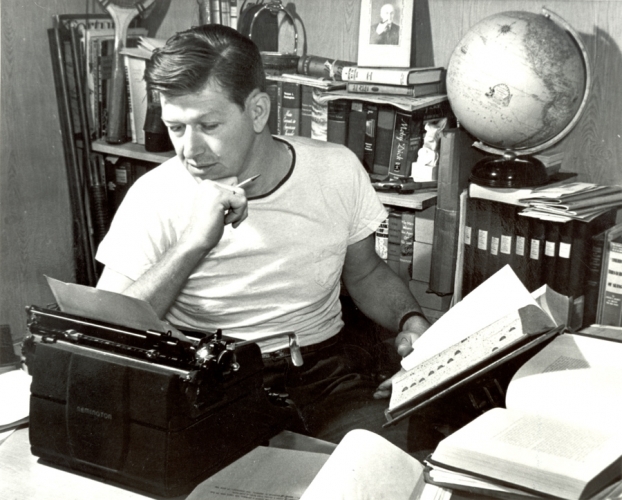 Tucked in the archives of the Center for Western Studies at Augustana University is a 1965 screenplay by Siouxland author Frederick Manfred, who wrote the script at his home in Luverne, Minn., and envisioned it becoming a Hollywood film. It's an adaptation of Manfred's 1954 novel, "Lord Grizzly," which helped immortalize the tale of Hugh Glass, a fur trapper and frontiersman who survived a vicious bear attack in 1823 in northwestern South Dakota, near the current town of Lemmon. U.S. Supreme Court Justice Antonin Scalia has been announced as the speaker for the 20th Boe Forum on Public Affairs sponsored by the Center for Western Studies. The topic of his March presentation will be “Whether the U.S. Constitution is a Living Document." Justice Scalia joins a long list of distinguished speakers in the annual lecture series. The following story about the announcement was published by the Argus Leader on November 30, 2015. U.S. Supreme Court Justice Antonin Scalia will speak next year at Augustana University, according to a Monday announcement from the institution. Scalia is the guest speaker for the 2016 Boe Forum on Public Affairs, with his presentation scheduled for 7:30 p.m. March 9 at the Elmen Center, 2505 S. Grange Ave. The Boe Forum strives to bring in big-name speakers each year, who can offer an expert voice on current topics that have an impact nationally and internationally, said Harry Thompson, executive director of Augustana’s Center for Western Studies. Scalia’s willingness to speak at this year’s event was an opportunity to rare and incredible to pass up. 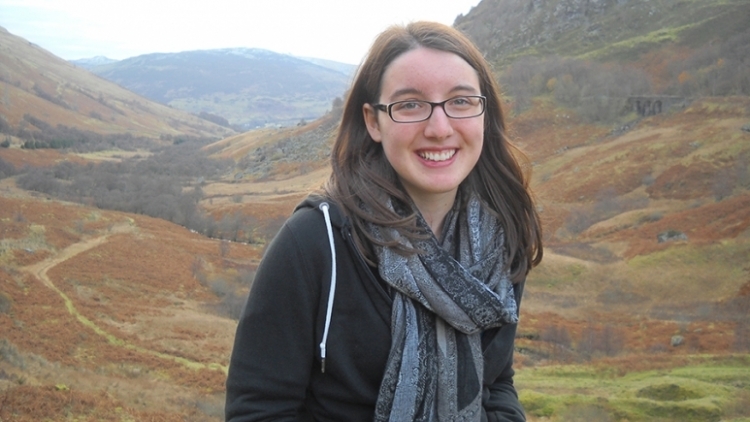 “I thought it would be easiest if I used sources at the Center for Western Studies,” she said. “So I looked through their collections, and the Vivian Ranney Raab Collection, which included her letters from the Sisters of Cheer, caught my eye. I realized that there was no information about the organization on the Internet, so I thought this would give me the chance to research and write about something completely new. It was going into uncharted waters, and it was the first time I felt like I was really 'doing' history." 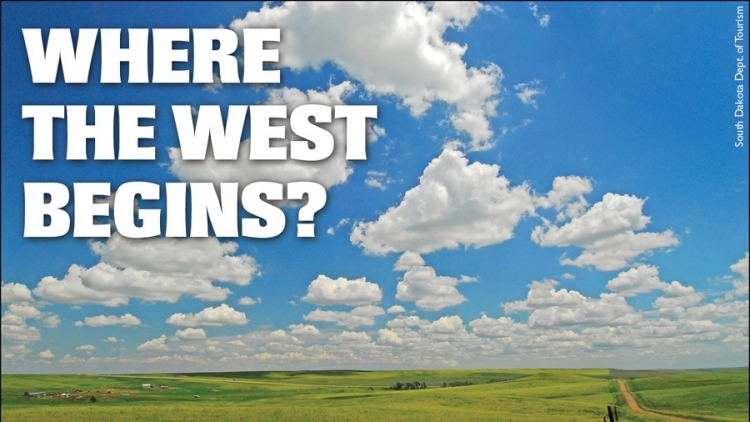 The theme of the 47th annual Dakota Conference event, held April 24-25, 2015, was "Where the West Begins?" with the intention of exploring the geography, identity, and promise of the Dakotas and the prairie-plains areas of Minnesota, Iowa, Nebraska, Wyoming and Montana. Presenters and participants were asked to consider whether the Northern Plains are where the Midwest ends and the West begins, what geographical and demographic characteristics help identify the region, and in what ways, good or bad, the Northern Plains are changing. The following story on this year's event was published by Jonathan Ellis in his Argus Leader blog on April 23, 2015. Sioux Falls: Gateway to the West or Midwest outpost? Is Sioux Falls a gateway to the West? Or a rear-guard city of the Midwest – a final outpost for a region that begins in Ohio and eventually melts away into the Great Plains somewhere west of Sioux Falls? Both views have their supporters. 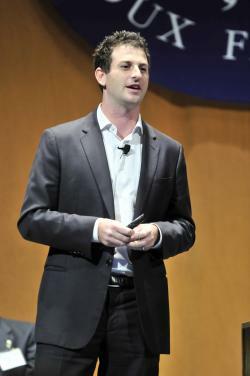 Former Microsoft executive Robbie Bach had a lot of advice for technology users in the Elmen Center Tuesday night at the 2014 Boe Forum on Public Affairs, presented by the Center for Western Studies. His topic, "Privacy at Risk: Challenges to Protecting Personal Identity and Data" dealt with the current issue of privacy online and as Bach said, "it is not black and white." He explained that there are criminals online who will steal your information if you aren't careful and cases where the government does not use it properly, but data can also help solve real-world problems. Unfortunately, for those who want all of their online data to be private, Bach has some news: "Digital information flows like water, and it's very difficult to control." But he does encourage everyone to think about policy changes that should be made in this country. Bach encouraged Augustana students who were interested in this subject to form a group on campus for privacy rights and charged educational institutions to come up with real solutions to these problems. 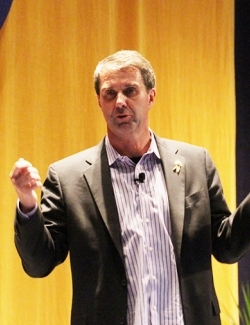 A former top executive with Microsoft briefed a crowd at Augustana College's Elmen Center Tuesday evening on computer security and told them that protecting themselves has to be a priority. Speaking at the Boe Forum on Public Affairs, Robbie Bach said consumer education needs to be a top priority as America moves forward on cyber security. A juried art exhibit and sale of original works by South Dakota artists at the Center for Western Studies this summer celebrates the state's quasquicentennial. 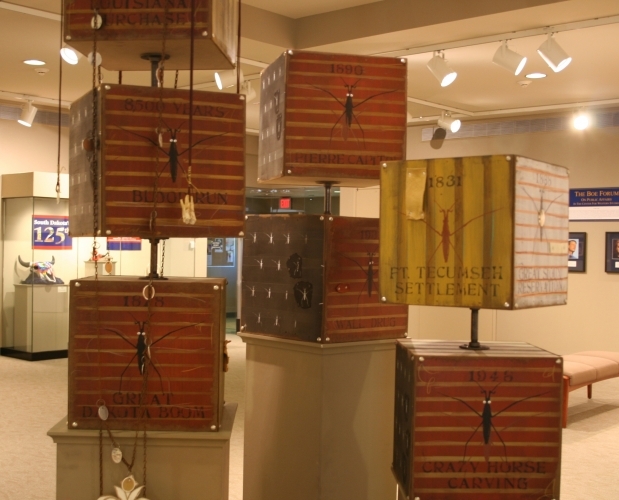 On display from June 10-September 27, “South Dakota 2014 Art Exhibit and Sale: Observing the State's 125th Anniversary" includes the work of 38 artists reflecting on the meaning of South Dakota's statehood. Visitors from as far away as England, Norway, Washington, Virginia, Tennessee, Illinois, Kentucky, California, Missouri, Florida and as nearby as Nebraska, Iowa, Minnesota, and South Dakota, have all visited the Fantle Building to view the display. The following story about the exhibit, and the grand prize winning entry by Madison artist Chris Francis, was published by the Argus Leader on August 23, 2014. Francis will be at the Center for Western Studies on Saturday, September 6, at 10 a.m. to discuss his work. This event, like the exhibit itself, is free and open to the public. Area artists have created 38 pieces of artwork to celebrate South Dakota’s 125 years of statehood. Themes range from maps, the Old West, New Age cowboys, iconic images, landscapes and various other traditional, modern and eclectic takes on the milestone. Ideas are expressed through photographs, acrylics, oils, multimedia, carvings and three-dimensional works. 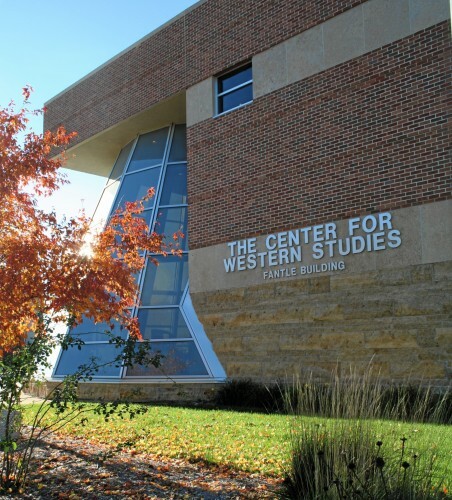 Founded in 1970 by Augustana Writer-in-Residence Herbert Krause, the Center for Western Studies began as a collection of books and historic regional materials in the lower level of the campus library. Many things have changed since the Center's humble beginnings. Argus Leader writer Peter Harriman recently visited the Center's Fantle Building and spoke with Executive Director Dr. Harry F. Thompson and Education Assistant Kristi Thomas about the institution's varied programming. The following story about the Center's regional value and rapid evolution in the last fifteen years was digitally published by the Argus on January 11, 2014. About 15 years ago, the Augustana College Center for Western Studies was a grand title for a collection of books on the American West stored in the lower level of the Mikkelsen Library. The 2012 Dakota Conference observed the upcoming fortieth anniversary of the occupation of Wounded Knee, South Dakota, with two days of speakers, an autograph party, and a one-time art exhibition. The following story about returning CWS Board Member Richard Muller’s experiences at the event appears in the Fall/Winter 2013 edition of Business Connections, a publication of the University of South Dakota Beacom School of Business. 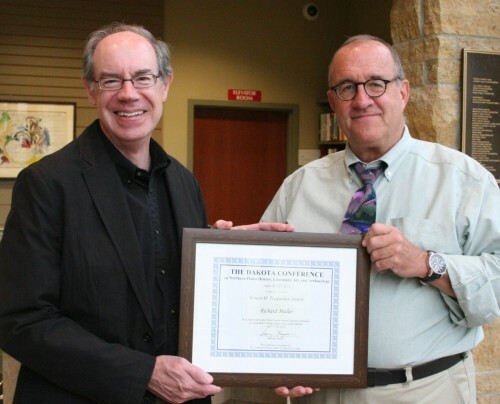 Richard Muller, instructor in the Beacom School of Business, was recently presented with an award that demonstrates how different academic disciplines can merge. In the News: Huntsman Discusses Geopolitics of China and U.S.
Former U.S. Ambassador to China and Singapore Gov. Jon Huntsman discussed the "Geopolitics of China and the U.S." before a crowd of nearly 2,000 at the 18th Boe Forum on Public Affairs Monday night in the Elmen Center. The biggest story of this century will be the rise of China to superpower status and how the United States reacts to it, according to former U.S. ambassador to China Jon Huntsman. TheIn partnership with All Souls Church, Unitarian Universalist, Sioux Falls, the Center for Western Studies is sponsoring a series of events to honor Native American Day. Responding to an expressed need in the community, All Souls Church has organized a series of events leading up to and following Native American Day, October 14, 2013. Spirit of Peace United Church of Christ is also sponsoring the series. Financial support is provided by the South Dakota Humanities Council, South Dakota Arts Council, Unitarian Universalist Association, and the CWS. The public is invited to attend as many events as possible. October 27 (2-4 p.m.): Author Joseph Marshall III will discuss his book The Lakota Way at Kresge Auditorium, Humanities Center, Augustana College. The installment opened on Thursday, Sept.12, and runs through Saturday, Oct. 12, in the Eide/Dalrymple Gallery; works will be on view Thursday, Sept. 12, through Saturday, Dec. 7, in the Center for Western Studies. A gallery reception was Friday, Sept. 13, at the Eide/Dalrymple Gallery (artist's talk was at 7:30 p.m.) with additional viewing at the Center for Western Studies. The exhibition celebrates the prolific life of Professor Emeritus of Art Carl Grupp, one of South Dakota's preeminent living artists. On view will be 120 works, many of which have never before been displayed. While including some of Grupp’s most iconic works — from large-scale watercolor mountains to surrealist still-lifes — the installment will also feature works that Grupp had heretofore considered “half finished” or too experimental to show. These works most reveal Grupp’s development, working methods, and his relentlessly searching mind, which will add to a fuller understanding of this significant artist. 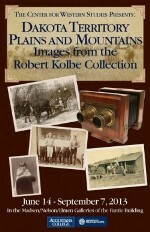 The Center for Western Studies (CWS) is excited to present "Dakota Territory Plains and Mountains: Images from the Robert Kolbe Collection." This remarkable gallery exhibit, on display through Saturday, Sept. 7, celebrates our heritage through a series of historic photographs from the private collection of Robert Kolbe. 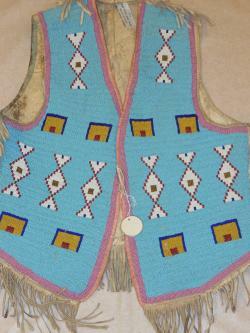 The exhibit features more than 20 historical photographs of the Dakota territory from the 1866-1889 time period. According to the CWS Education Assistant Kristi Thomas, all images featured were carefully selected by CWS staff from Robert Kolbe's collection of historical photographs. 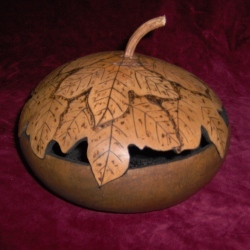 "Native Soul: An Insight into the Artwork of Jerry Fogg" is the topic of the upcoming “Saturdays at CWS” workshop event at 10-11 a.m. on Saturday, May 11. Hosted by the Center for Western Studies, the workshops are designed to bring additional educational opportunities to the Sioux Falls area. The workshops are free, but registration is required. To register, contact Kristi Thomas, education assistant for the Center for Western Studies, at 605.274.4007. The Center for Western Studies is located in the Fantle Building at 2121 S. Summit Ave.
Eighty presenters from 15 states will gather to present papers and participate in panel discussions for the 45th annual Dakota Conference on Northern Plains History, Literature, Art and Archaeology, set for April 26-27 at the Center for Western Studies. The Conference will focus on Spanish exploration of, and Hispanic/Latino immigration to, the Northern Plains. The Spanish were the first Europeans to explore and establish settlements on the Great Plains. Today, large Hispanic/ Latino populations live in the Northern Plains, especially in Nebraska, Iowa, Minnesota, and Colorado. In metropolitan Sioux Falls, for example, the Hispanic/ Latino population is now the largest minority, with more than 22,000 residents, the majority of whom come from Central America. 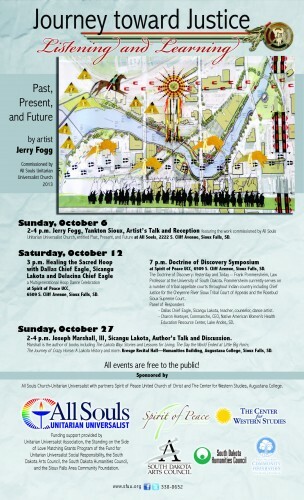 The Center for Western Studies' newest exhibit features works by Native American artist Jerry Fogg. 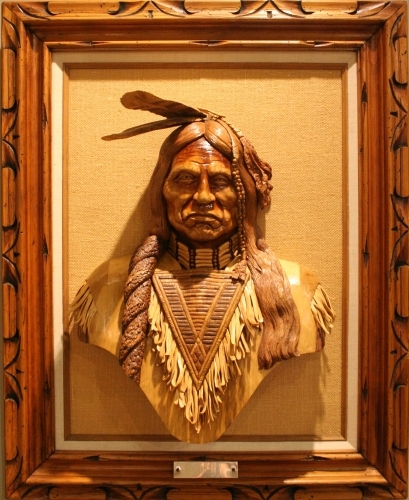 "Native Soul: The Artwork of Jerry Fogg" will be on display from Monday, March 4, through Saturday, May 18. A gallery reception including a gallery talk is set for 4:30-6:30 p.m. on Wednesday, March 20. Yankton Sioux Oyate artist Jerry Fogg, Wanagi Tatanka (Bull Ghost), is a mixed-media, pencil and ink, acrylic and watercolor tribal artist. He is an advocate for Blood Run, Hiawatha Indian Insane Asylum and Pé Sla and a multi-mentor at Hawthorne Elementary in Sioux Falls. Gene Smith will discuss "Digital Photography" at the upcoming “Saturdays at CWS” workshop event, set for 10-11 a.m. on Saturday, April 13. Hosted by the Center for Western Studies, the workshops are designed to bring additional educational opportunities to the Sioux Falls area. The artwork of 26 local and regional artists will be on display Feb. 15-17 at the 33rd annual Artists of the Plains Art Show and Sale, sponsored by the Center for Western Studies at Augustana College. Sunday, Feb. 17: 10 a.m. - 3:30 p.m.
Kara Dirkson of Artísia Fine Art Services will discuss "Building Your Art Collection" at the upcoming “Saturdays at CWS” workshop event, set for 10-11 a.m. on Saturday, Feb. 2. Hosted by the Center for Western Studies, the workshops are designed to bring additional educational opportunities to the Sioux Falls area. The workshops are free, but registration is required. To register, contact Kristi Thomas, education assistant for the Center for Western Studies, at 605.274.4007. The Center for Western Studies (CWS) at Augustana College has issued a call for presenters and authors for the annual Dakota Conference on the Northern Plains, to be held April 26-27, on campus. Now in its 45th year, the Dakota Conference seeks to examine issues of contemporary significance in their historical and cultural contexts through history, literature, art and archeology. Recent topics of interest have been water use, urbanization, the Black Hills and railroads, and Wounded Knee. The theme for the 2013 Conference is “The Spanish Northern Plains.” The Center is seeking papers about Spanish exploration of and Hispanic/Latino immigration to the Northern Plains. Papers and sessions on all aspects of the Northern Plains are also welcome. 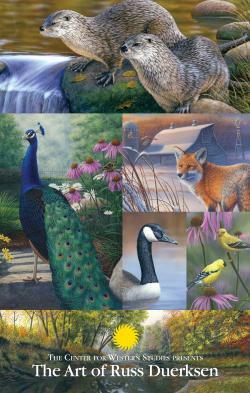 The Center for Western Studies' newest exhibit features works by wildlife artist and South Dakota native Russ Duerksen. "The Art of Russ Duerksen" will be on display from Monday, Dec. 10, through Saturday, Feb. 2.The gallery reception on Wednesday, Dec. 12, included a gallery talk. Duerksen grew up in eastern South Dakota where he spent most of his youth on his grandparent’s farm and exploring the outdoors. His love for nature gave him inspiration to sketch the wildlife that he saw. This led Russ to a commercial art career and then to his dream of becoming a full-time professional artist. Augustana College and the Office of the Abbot at Blue Cloud Abbey announced that the Center for Western Studies (CWS) has been named the repository for more than 4,000 books, 40,000 photographs and various artifacts from the Blue Cloud Abbey-American Indian Culture Research Center (AICRC) collection, previously housed at the Benedictine monastery near Marvin, S.D. Founded in 1950 and once called “an oasis of spiritual peace and beauty in the midst of our overly busy and distracted world,” Blue Cloud Abbey officially closed on August 5.